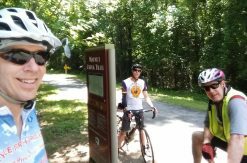 Several of my recent posts have been about the Uwharrie Trail, with a focus on the newly reopened sections. 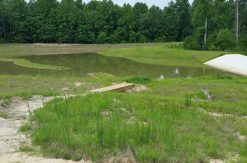 New trail is exciting, but there are many other trails in the Uwharrie Lakes Region. This is the first of a three-part series about the different trail areas in the Uwharries. The second edition of the Uwharrie Lakes Region Trail Guide covers ten different geographic areas containing trails. The guidebook is organized in sections, one for each trail area. Sections are ordered alphabetically, making it easier to find a specific trail area when flipping through the book. 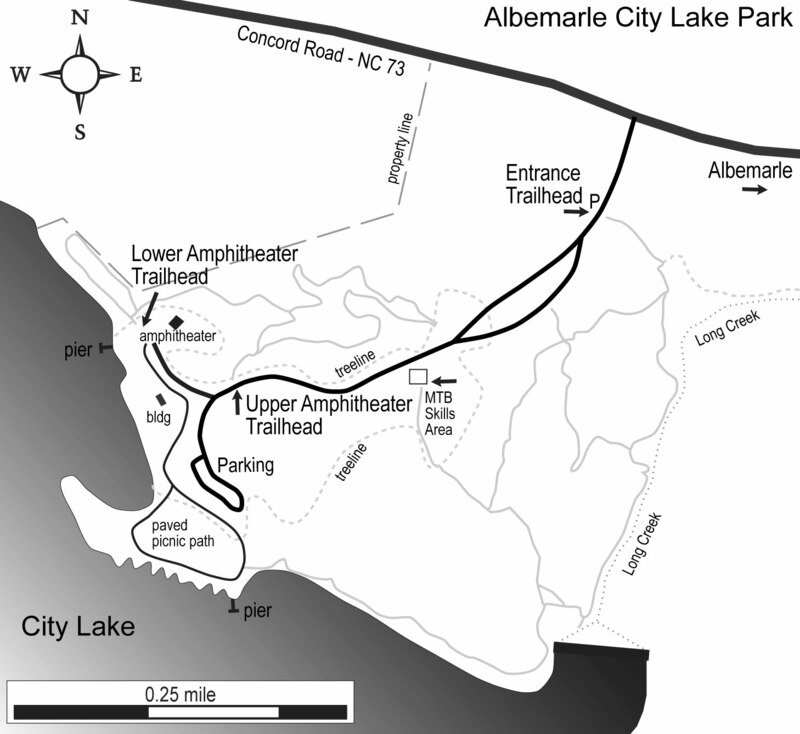 Albemarle City Lake Park is one of the smaller trail areas, but it is notable for its purpose-built mountain bike trails. The bike trails and a bike skills area were built as a cooperative effort between the City, a local bike shop, and IMBA. The park is located on the west side of Albemarle, NC, off of highway NC 73 and is managed by the Albemarle Parks and Recreation Department. The park also has a few hiking-only trails, numerous lakeside picnic facilities, and a small amphitheater for concerts. The lake is open for fishing and non-motorized boating. 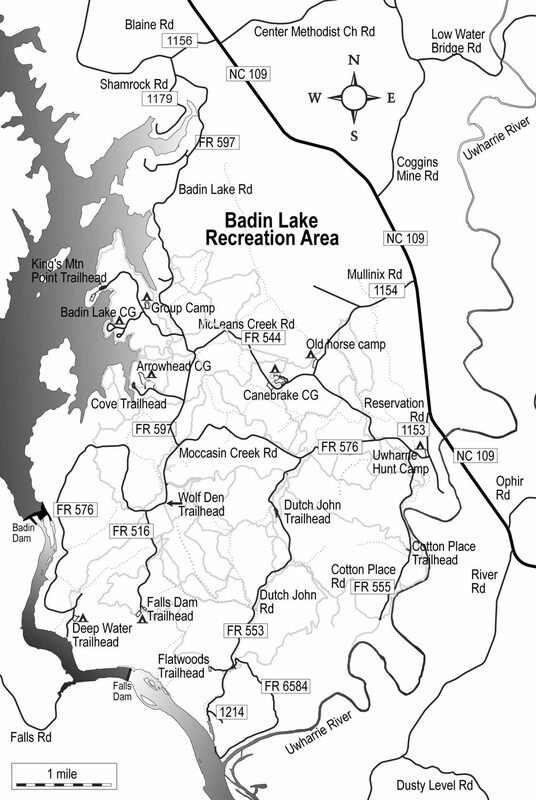 Badin Lake Recreation Area is the largest trail area in terms of trail mileage, and perhaps in acreage. This area is located northwest of Troy, NC along the east shore of the Yadkin River where dams have created Badin Lake, Narrows Reservoir, and Lake Tillery. The Uwharrie River borders the southeast side of the area. Managed by the USFS, this area contains the only USFS campgrounds with hot shower/bathhouse facilities. The Flintlock Valley Shooting Range is here, and the Cove Boat Ramp and King’s Mountain Point picnic facility are along the shore of Badin Lake. The area is cross-crossed by several surprisingly long gravel roads. Several less-developed campgrounds can also be found throughout the area, as well as numerous pull-off campsites along the gravel roads. This area sees the most visitors of all the trail areas in the Uwharries, especially on weekends. 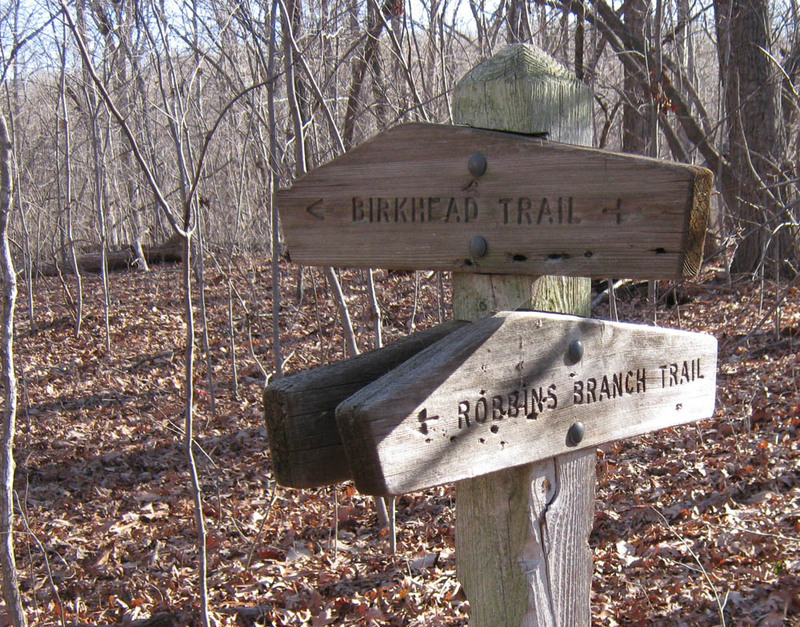 Within the Badin Lake Recreation Area are three distinct trail systems, some of which overlap. The hiking-only Badin Lake Trail follows the lake shore around the large peninsula on the northwest side of the area where several of the campgrounds, the boat ramp, and the picnic area can be found. More than 40 miles of equestrian trails run through the northern two-thirds of the area, with the heaviest use seen in the upper part. The Canebrake Horse Camp was built for equestrians, with high-line posts and tack tables at each site. The OHV trail system is spread over the southern half of the area. Five different parking locations provide space for trailer parking and built-in off-load ramps. Hikers can hike on all of the trails in the Badin Lake area, with mid-week outings offering the best chance for solitude. Mountain bikers can ride all of the trails except the Badin Lake Hiking Trail. I should note that the equestrian and OHV trails are not typical bike trails, so do not expect to find lots of continuous “flow”. You will find yourself pushing up a few hills, climbing down others, and dodging some horse manure. 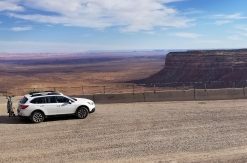 If you can deal with these intermittent features, you can look forward to mile after mile of trail through one of the most mountainous sections of the Uwharries. There is plenty of scenery to enjoy, challenging riding to test your skills and endurance, and seeing another mountain biker will be a pleasant surprise. Equestrians and OHV drivers are usually curious to see meet someone crazy enough to ride the trails on a bicycle. Birkhead Mountains Wilderness is located a few miles southwest of Asheboro, NC. With its federal “wilderness” designation, the trails in this area are only open to hikers. There are no campgrounds, bathroom facilities, water spigots or other features often found at more developed locations. You will find trails here, with trees, rocks, and streams in abundance. Perfect for a quiet hiking escape! The Birkhead area is managed by the USFS and is only separated by a few miles of privately-owned land from other USFS-owned property. The Uwharrie Trail runs through that nearby USFS property, connecting it to several of the other trail areas covered in the guide book. 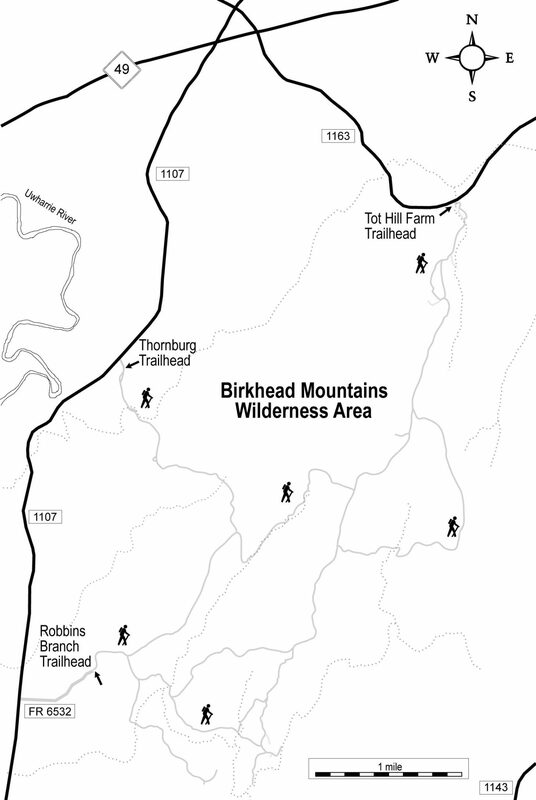 The original historic route of the Uwharrie Trail ran through the Birkhead Mountains area as well, and hopefully it will again soon. Complete details and maps for all of the trails in each of these areas are included in the Uwharrie Lakes Region Trail Guide. If you don’t have a copy yet, please order one today! In the second part of this series, I’ll cover Boone’s Cave Park, the Denson’s Creek Area, and the Morris Mountain Area.